Though this Long Island girl never imagined she'd live in the south, the decision to move to Nashville was a relatively easy one, all things considered. After all, I'd packed up my life and headed to southern Africa when I was only nineteen. Choosing a U.S. city to settle in on my return Stateside didn't seem quite so consequential. But that didn't make my transatlantic move any less heartwrenching. The summer of 2011, I arrived in Nashville, broken in every way. My decade-long marriage had ended, my ex running off with my (ex-)friend. As founders of a donor-driven nonprofit, when news of infidelity and then divorce was made public, financial support started to dry up. Eighteen months later I was forced to make the most devastating decision of my life: closing down our organization (and, in doing so, laying off over 60 staff members). In one grand swoop (that seemed equally far too fast and painstakingly slow, all at the same time), I lost my marriage, career, home, friendships, future, and country. My entire adult life had been spent on African soil. And in a proverbial instant, it had all vanished... shattering into a million pieces. 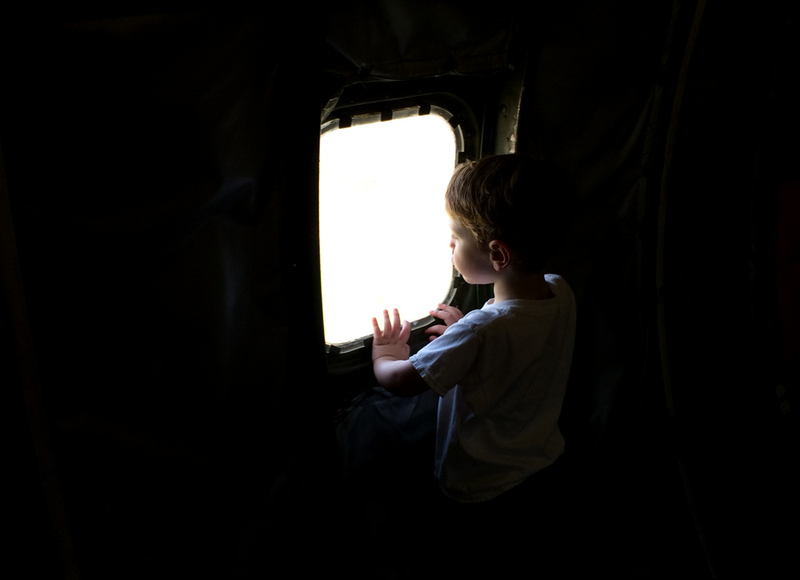 When I relocated back to the U.S. after 13 years abroad, I felt like an absolute and utter failure. Friends graciously welcomed me into their homes with open arms (and open hearts) in far-flung places around the country, like Ohio and Georgia and Oregon. Most days, getting out of bed was considered a win. The days I went to counseling, or engaged the "free therapy" of my own writing, or swallowed my Prozac (along with my pride), or allowed myself to laugh? Those were the days I knew I was taking healthy steps forward. Don't ever let anyone fool you: Healing is hard work. All the while, I had my sights set on Nashville. I'd visited a few times over the years, had some friends here, even completed the half-marathon just days before the fateful flood... After living in a rural agricultural region of South Africa for so long, I craved city life. But I'd also grown to love some aspects of small town living that I wasn't ready to give up just yet. Nashville seemed to be the best of both worlds, fitting the bill of the "manageable" city I was looking for. But the biggest reason I moved to Nashville was to chase down community. I knew I needed to be intentional about surrounding myself with quality people. If I'd learned anything in my 30+ years of life, it was that I can't do this thing on my own. I need a strong support system. We all do. We're wired for it, built to require it. And the handful of friends I had here (almost all of whom I'd met through social media in my early days of blogging from the mission field) were the primary reason why I knew this is where I should put down roots. Chase down community. It became my mantra. My touchstone. And it proved to be far more difficult than I ever thought possible. In my first year here, almost all of my friends moved away, relocating for work or love or adventure. Others drifted in the way that friendships sometimes go when different life seasons take over. I struggled to build new relationships, having limited opportunities or contexts in which to meet people. I was left feeling incredibly unanchored. Disconnected. Unsettled. Community isn't as easy to come by as I'd hoped. Maybe it's Nashville. Maybe it's my age. Or my stage of life. Or my personality. Or maybe it's a Rubik's Cube combination of all those things together. Who knows. What I do know is this: Developing a life support system gets way harder the older I get. And it will never just happen on its own. But eventually, slowly, I began to find those true heart connections again. One relationship at a time, I started to find and build community. I've found it in Instagram connections turned friends. And in wine-infused porch conversations that run late into the night. I've discovered it in the bartenders and staff at my local Cheers. And in laughter and heartache and shared bowls of pasta. It was years in the making, but I realized its presence in a solitary instant one night last fall. As my autumn porch party was winding down, I looked around at friends old and new, spilling from the kitchen in the back of my house all the way through to the front yard, and it just hit me all of a sudden: I finally have that community I'd been chasing. I noticed it in the same way you suddenly realize, as winter starts to fade, that it's no longer pitch black out by 5 PM. That seasonal transition never seems quite as gradual as it really is. It sneaks up on you. You just look around one evening and it takes you by surprise to discover that there's sunlight where previously there had been only darkness. My circle of friends is small, but deep. And they strengthen and support me in countless ways (as I hope I also do for them). But I finally feel that sense of belonging. Of connection. Of settledness. I feel more anchored than I have in years, and as I approach my fifth Nashiversary, I do so with immense gratitude. My heart discovered sunlight again in this little big town, with its creativity and innovation, its social mindedness and collaboration, its food scene and its musical pulse. And, most of all, its community. I didn't find a home here. "When I asked you how you were feeling, you said it was a high-pain day. But you looked to be having such a great time — talking, laughing, mingling with the group. So it just doesn't add up." I couldn't believe a friend — one of the few I'd candidly opened up to about my chronic health issues at that point — had written this to me. And had already spoken to other mutual friends about me. Out of "concern," of course. She was calling my integrity into account. For my health issues to be as severe as they are, she decided I should always be forlorn. Quiet. Listless. And all at once, my back was up against the wall, with me defending what shouldn't need to be defended. "I can push past it when I need to, for limited amounts of time..."
"A smile on my face doesn't mean I'm being dishonest about how I'm feeling..."
"There are plenty of days when my health determines my plans..."
"When you feel something constantly, it's not what comes to mind when asked how you're doing..."
"I can feel awful, and still have a good time..."
I immediately hated myself for scrambling to explain, for working so hard to make her understand. Sadly, she wasn't the first to respond so hurtfully about my health issues. And she wasn't the last. I've been treated as though I'm crazy, or, at the very least, exaggerating wildly. I've been called a liar. I've been told to stop being so dramatic. I've been scolded for not having enough faith. I've been preached at, talked down to, pitied. Enduring chronic anything—all day, every day, in varying degrees—is crazy-making, lonesome, and challenging all on its own. Skeptical tones, judgmental eyes, critical words—all they do is make me regret opening my mouth. I still feel tremendously uncomfortable talking about my chronic pain and health conditions—though I try to force myself to open up about them more than I used to. My breath quickens as I struggle to find words for what seems indescribable and yet is, at the same time, my "normal". With each syllable, I grow increasingly anxious that I am being judged. Criticized. Unheard. Misunderstood. And being misunderstood is just about the worst feeling in the world—and one of my greatest fears. to be understood as to understand..."
So on this high-pain day, I am going to swap my fear of being misunderstood for a fear of misunderstanding those I love. I'm going to be more intentional to put aside my own experiences and opinions so that I can truly listen and open my heart to understand even that which is unfathomable to me. Because though our pain looks different — physically, emotionally — at the core, it is all the same. And that I can understand. Originally posted on A Deeper Story. How different would things be if I approached each situation, each person, with bravery? That's the question that scratched away at my heart and made me choose brave as my OneWord365. I really wrestled with committing to a word like that, for—well—lots of reasons. At least for me, brave is a big, scary, monstrous word. I have never felt brave. Ever. It's not a word I would ever use to describe myself. I've done brave things at times, sure. I've taken some risks. I've made some choices others have deemed courageous. But deep down, I would never categorize myself as a brave person. I want to be someone who's life is marked by bravery. Don't hear me wrong... I don't want to be known for living an adventurous life. I'm not trying to be edgy, or reckless, or thrill-seeking. I don't want to do brave things. I want to be brave. And, I'm discovering, there's a big difference. It's more about the posture of my heart than about my actions. It's about changing my internal dialogue—the words I say to myself, about myself. It's a willingness to lean into who I really am... and live it out wholeheartedly. Six full months into the year, I paused to take stock. And I have to admit—I'm a little surprised by all the ways I've seen bravery come to bear in my life so far this year. It's probably not been in ways that others might expect (or that they'd even call brave), but it's usually the smallest steps of bravery which are the most difficult. For me, anyway. I've opened my heart to possibilities. I've let myself enjoy the present without knowing what the future holds. I've let my guard down. I've let others in. I've leaned into relationships. I've used my words more. I've embraced hard truths. I've taken steps towards healthier boundaries. I've put myself first in areas I'd always put myself last. I've started going to church again. I've stuck my neck out work-wise. I've resumed regular writing commitments. I've made big financial decisions. I've intentionally dug into enjoying my now-life. I've faced a huge loss and didn't fall apart like I once thought I would. I don't expect to feel like I've crossed some huge finish line in December, having arrived-at-last at being brave. But I do sense that I am already becoming brave. And that is what I want to feel every day for the rest of my life. The process of becoming holds more value than the being, and I don't want to lose the wonder and vulnerability of the journey. So I take a deep breath, and I close my eyes, and I ask for an extra dose of courage for everyone and everything I will face. 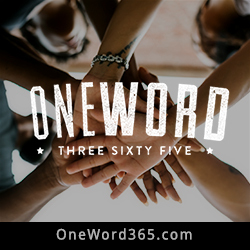 I'd love to hear about your OneWord365 journey at this halfway point.If you blog about it, please share the link. Otherwise, would you share a few thoughts in the comments? The list of roles I played in my former life that I no longer play in this after life is staggering. Wife. Founder. Leader. Missionary. Pastor. Ministry Director. Daughter-in-law. Aunt. And though not the largest, nor the least, of the losses I faced through my divorce, I no longer fit among certain groups of people. Like pastors' wives, or ministry leaders, or ex-pats, or even just people who only spend time with other married couples. I lost a lot of relationships. And a lot of opportunities. It feels at times like my history has been erased. So when my friends at A Life Overseas asked me to share with their online community, I was blown away. Shocked, actually. Though I no longer direct a nonprofit overseas, their invitation told me they still value my voice and experience in that arena. And I can't even begin to tell you what that did for my heart.